Rachel started her business back in 2013 after she realised that to really shine and bring her passions out into the world, she needed to start up her own business instead of working under someone else. Rachel’s ‘a-ha moment’ came ten years ago when she was experiencing a period of anxiety, depression and lack of self confidence that spiralled her into a world of emotional and physical suffering. She discovered a modality called Kinesiology after moving to Brisbane, Australia in 2009 that turned her life around. Using many different tools in her sessions depending on client requirements, Rachel describes her super power as helping her clients move through fear and anxiety into unshakeable calm and confidence. RD: It has helped me to attract more clients into my clinic, showcase the services I provide with ease and clarity, and with a beautiful design. RD: I previously built my own WordPress website from scratch, so I knew my way around. However, as I needed to upgrade the theme to provide a fresher look, I would say that was a whole new level of learning. So I am definitely a newbie. RD: Very easy. It required a little bit of support from Amande, but she answered my questions and supported me promptly whenever I asked her. RD: I chose the theme because it was beautifully presented and had every feature I needed as a business owner: newsletter opt in, freebies and a blog etc. I found many other themes may have one or the other, but not all the features I was looking for. Rachel continues to dream big and build on her successes. We asked her what was in the pipeline for the next twelve months. 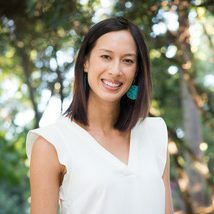 She explained that her goal is to release group programs that will enable women to move from anxiety, fear and self-doubt into unshakeable confidence. Alongside the group coaching programs she intends to expand more into the online space by offering 1:1 Skype consults. We think that this is a brilliant idea as Rachel will be able to reach a wider audience by offering this service and be able to help more people. We love following the journeys of all our favourite fempreneurs and nothing makes us prouder when we see our themes out there being put to hard work. We know that the entrepreneurial journey can be a tough one, which is why we wanted to ask Rachel what her parting piece of guidance would be for aspiring girl bosses. RD: Follow that deep calling within, your heart’s desire that is pulling you to manifest your purpose in this life. Follow its whispers and it will guide you in the right direction towards a life you love! Don’t ever be afraid to ask for help. Get support early on in the game – a mentor or coach to keep you accountable and moving forward. We think that Rachel’s journey is an incredibly inspiring one and we thank her for sharing it with us. This is just the tip of the iceberg! For more information head over here for a full explanation of our themes and services. If you’re not sure what you need or you can’t wait to get a website just like Rachel’s then get in touch and let’s chat.